In a large bowl, mix together oats, shredded coconut, almonds, cranberries, sugar and cinnamon. In a separate bowl, mix together melted coconut oil, honey and vanilla. Add the liquid mixture to the oat mix and stir (by hand if you’re up for it) until mixed well. Spread the mixture in an even layer on the baking sheet and bake for about 30 minutes or until golden brown. Toss the mixture periodically for an even brown. 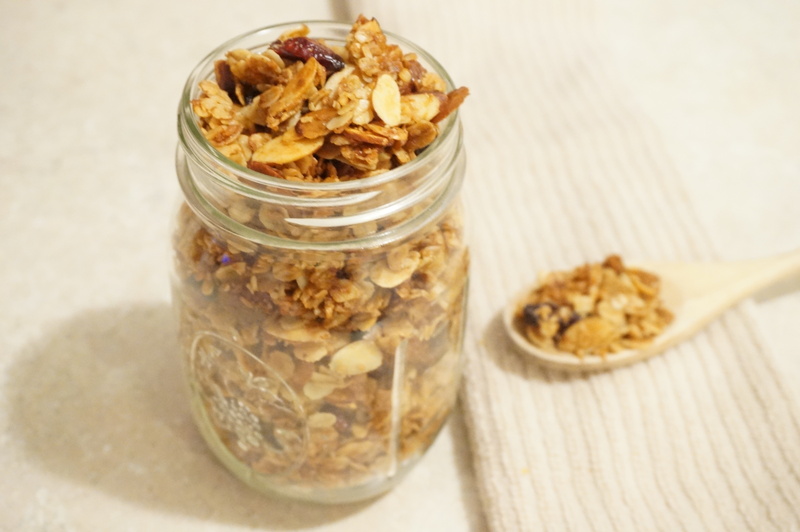 What’s your favorite granola mix?